A slightly different beauty post for today... Every now and then, people (and especially the male species, including my dad) ask me why I don't write about subjects that boys / men would like. I'm guessing the fact that I'm a woman might have something to do with it. 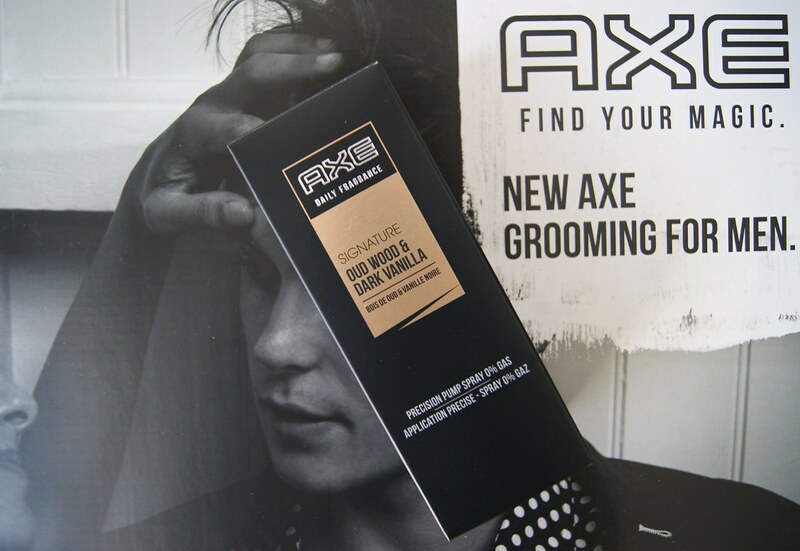 But when AXE sent me a beauty box filled with goodies for my boyfriend, I thought I'd give it another try. They started a new campaign with a powerful message I strongly believe in. Curious to find out what it is? Just keep on reading! 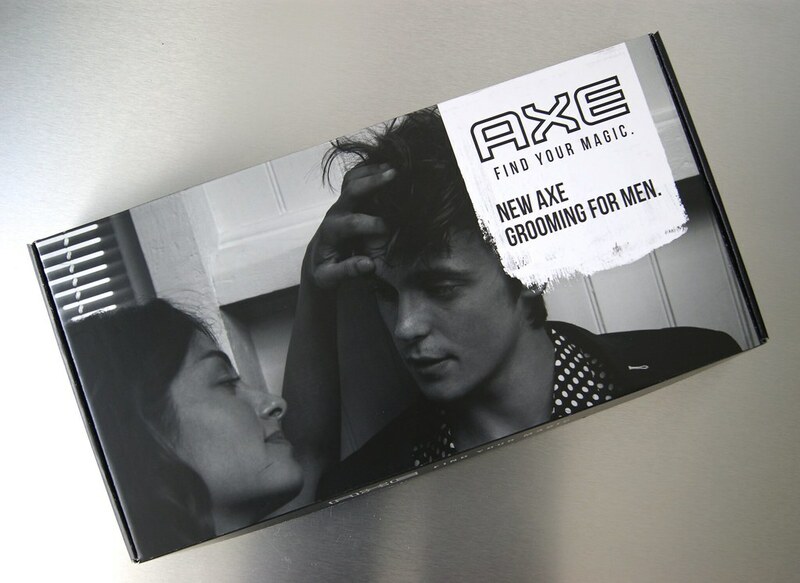 AXE started the Find Your Magic campaign to get rid of the traditional macho man and to focus on each man individually. According to them (and I find it true myself as well), each man has something to be proud of, whether it's the brains, the eyes, a hobby or another personal asset. Study has shown that 'only' 20 % of the women fall for the stereotypic macho and that other women prefer a man who is confident and isn't afraid to show his strong points -- which doesn't necessarily needs to be a six-pack. AXE wants to trigger men to be proud of everything that makes them so special as an individual. So, to cut things short: confidence really is the key, boys and men! Go on and find that magic. 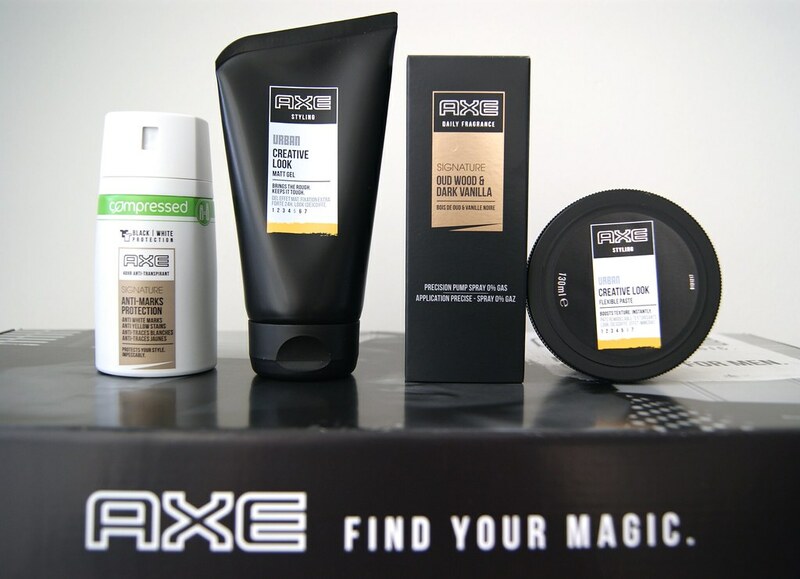 AXE created a new range of beauty products, giving men the tools to develop their own personal style to the fullest. The new range is based on three different styles: Urban, Adrenaline and Signature. Each style contains a anti-transpirant deodorant, a daily fragrance, a shower gel and hair products. I will show you my boyfriend's box and also focus on the other styles, right after the jump. Ladies: show your boyfriend, husband, best male friend, father, brother ... that you love him just the way we are and spread this powerful message. Single boys and men: stick to your beliefs and who you are; women dig that whizz. My boyfriend received a box with a deodorant and fragrance from the Signature line and a styling wax and styling gel from the Urban Line. I'm not really sure why the body wash wasn't included, but it doesn't matter. He was very happy to find out that a package was delivered for him for once, so thanks for that, Axe! AXE developed three anti-transpirant deodorants that offer 48 hours of protection. The compact bottles are more compact and more sustainable, but save their power and effect. Signature protects your favorite shirts against marks and stripes. Urban contains Silver Technology, which protects you against certain odors with its anti-bacterial function. Adrenaline focuses on freshness every time you apply the deodorant, containing Charge Up Protection. 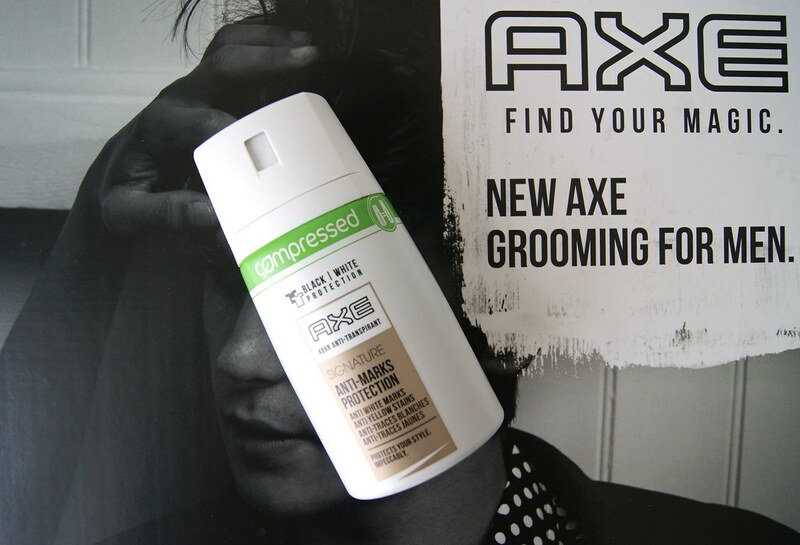 The AXE anti-transpirant deodorants sell at € 4,79. The fragrances are all tuned on their fellow deodorants, so that they blend in nicely together rather than clash. AXE confided in the world's finest noses to create three new, sophisticated perfumes based on carefully chosen ingredients. Signature contains Oud Wood and Dark Vanilla. Urban contains Tobacco and Amber. Adrenaline contains Iced Musk & Ginger. The AXE daily fragrances sell at € 7,99. 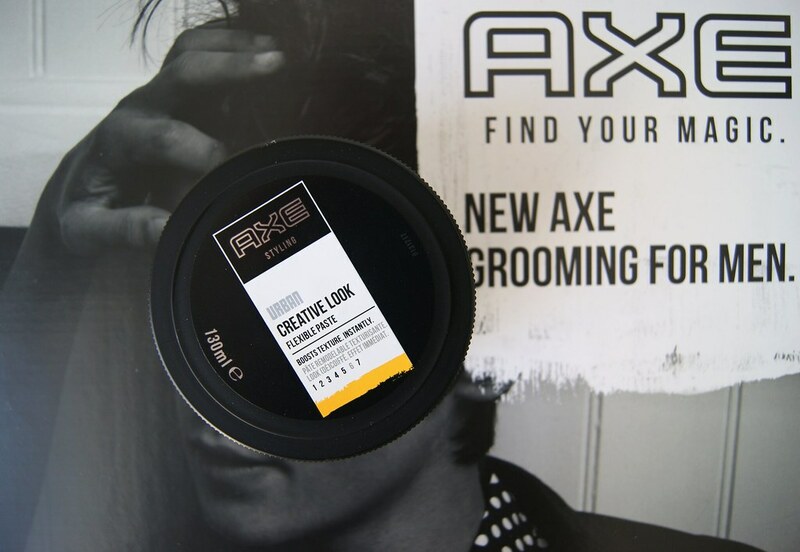 If it's a mohawk, a man-bun or a clean-cut look you prefer: AXE developed a specific hair product for each look. Signature is perfect for those who like the clean cut look. Urban goes well with those who prefer a messy look. Adrenaline is the perfect match for the spiked-up look. The AXE gels sell at € 4,49 and the AXE Flexible Paste jars sell at € 4,69. 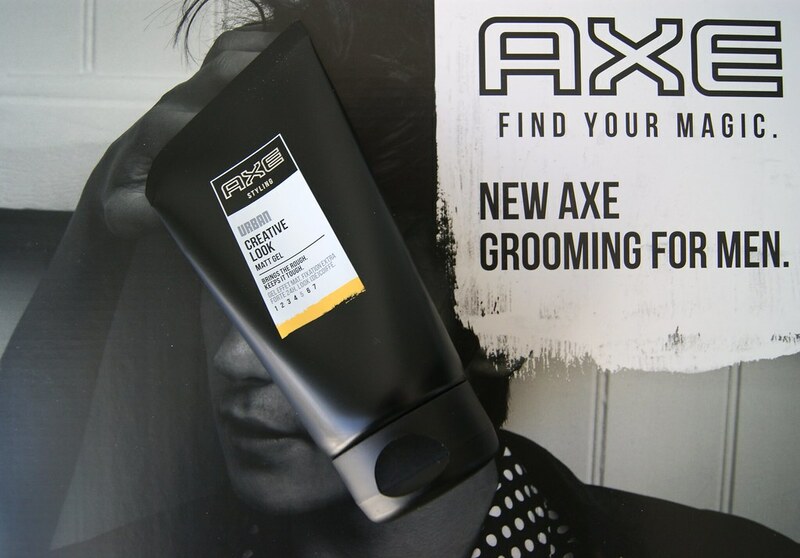 A new formula with the newest technologies: the AXE shower gels all have their own specific application. Signature contains Cedar Wood and Bergamot and focuses on a smooth skin. Urban contains Charcoal and Watermint and gives an all-day fresh smell up to 12 hours. Adrenaline contains Iced-Mint and Ginger and also gives an all-day fresh smell up to 12 hours. 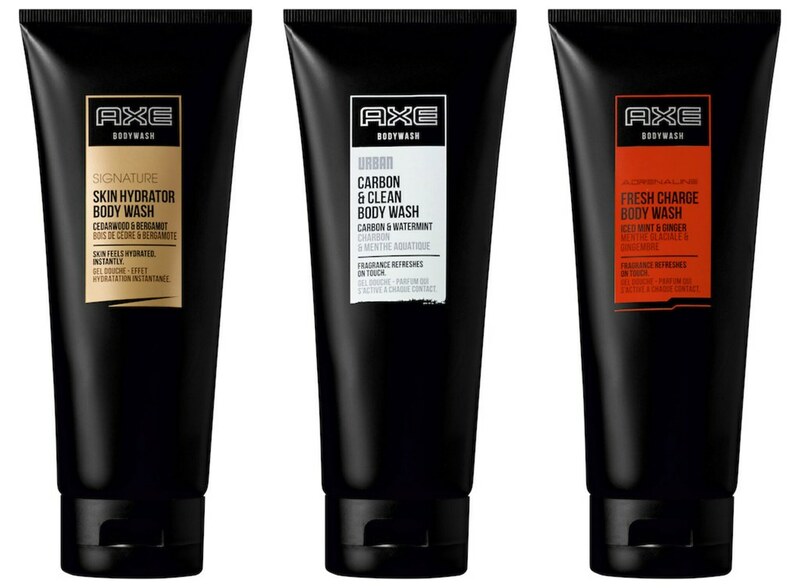 The AXE body washes sell for € 3,99. 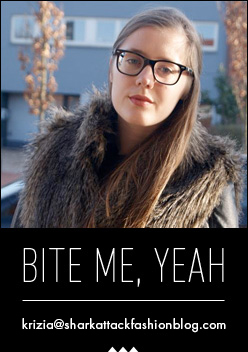 Love the idea behind this campaign! I think whilst society is trying to give positivity to women, we forget about the men! Great stuff Axe! !